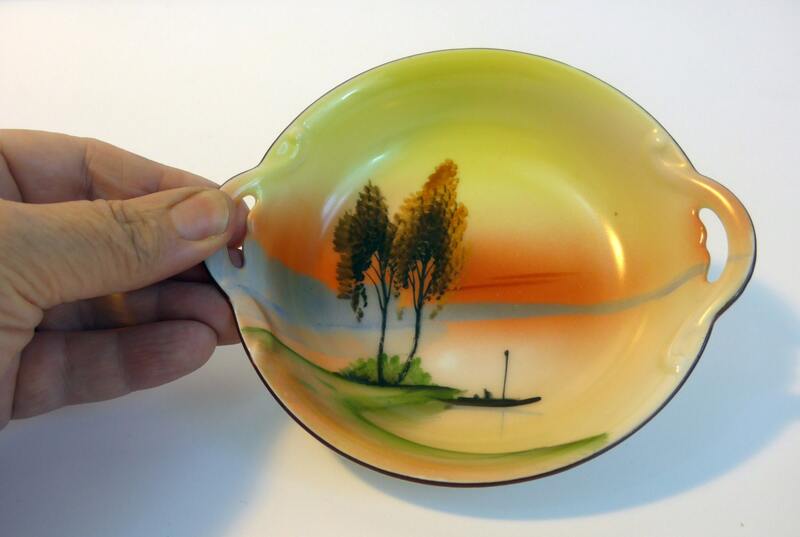 This is a Hand Painted Noritake Japanese Trinket Bowl or Dish with small handles on two sides. 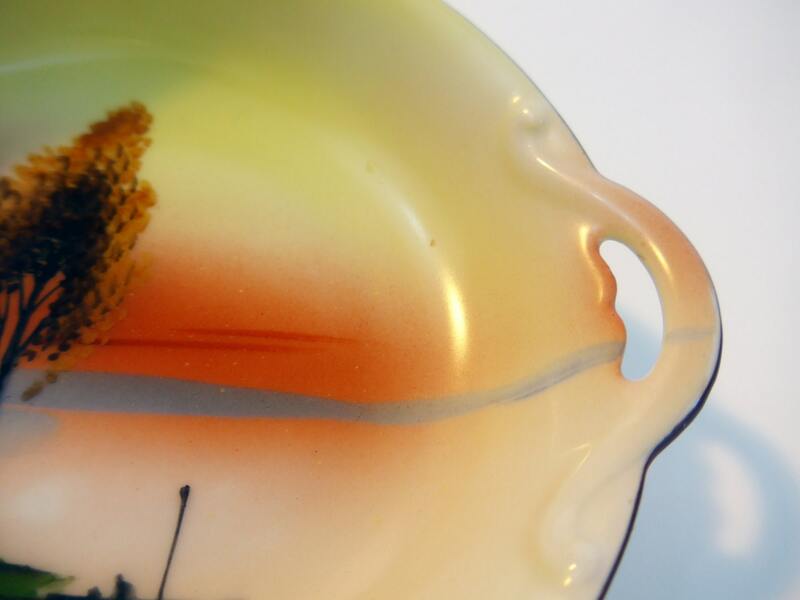 The bowl features a brillantly colored landscape with an orange glow. A small boat with a man in it is on the green shore near two tall trees. A bit of embossed shape around the two small handles that have a scalloped bottom section. 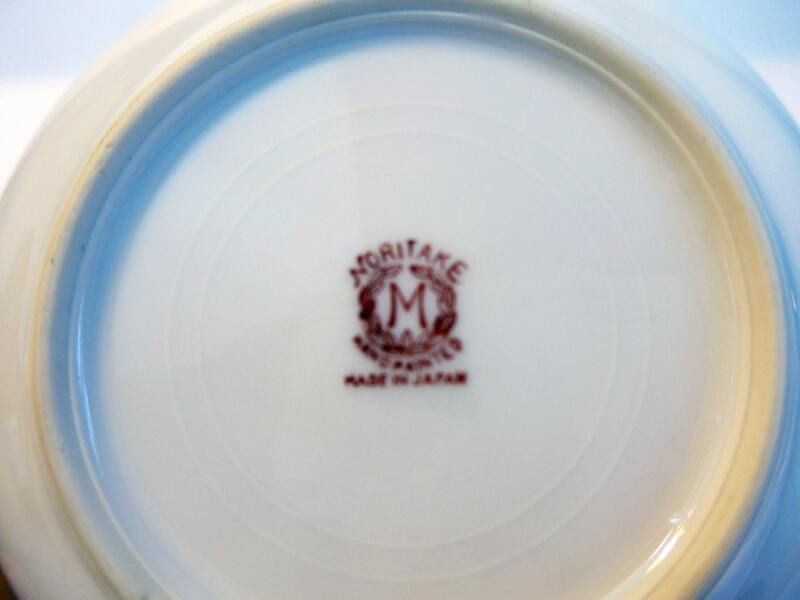 Marked on the bottom Noritake Made in Japan - see photo #5. 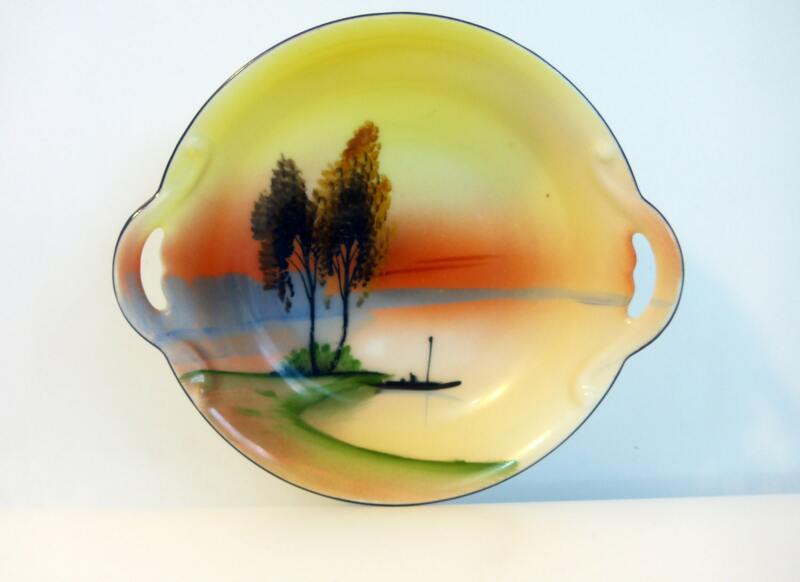 This backstamp is from about 1918 which was a transitional from Nippon Era to Deco Era. This mark can be found in Blue, Green and Red. 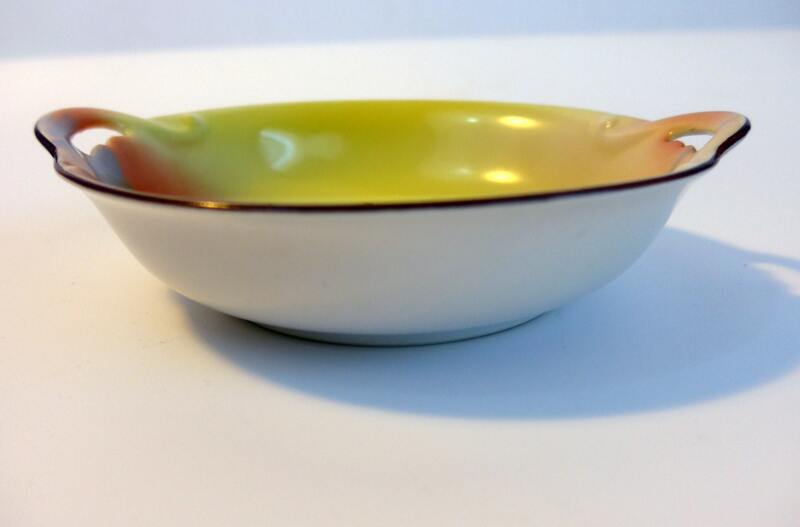 Measures 4 3/4" in diameter on side without handles, and 5 1/2" across the side with handles. About 1 1/3" high. In nice vintage condition with little wear - still a hand painted little beauty.